At least 65 people were killed in a Taliban-claimed attack on an Afghan intelligence base, sources said on Tuesday, in the latest high-casualty attack on beleaguered Afghan forces. The new toll from Monday's Taliban-claimed attack in central Wardak province is far higher than earlier figures of 12 dead, and comes after a day of confusion, with officials giving conflicting casualty numbers to media. The attack, in which militants detonated a Humvee packed with explosives before gunmen arrived in a car and opened fire, targeted an intelligence training facility, officials said, meaning information remains difficult to verify. "We took about 65 bodies out of the rubble yesterday," said Mohammad Sardar Bakhyari, deputy head of the Wardak provincial council. Prime Minister Imran Khan took to Twitter on Tuesday to offer his condolences over the "condemnable act of terror" in the neighbouring country. "I pray that peace will return soon to our war-ravaged neighbour," the premier added. Foreign Minister Shah Mahmood Qureshi also offered his condolences. "As the death toll mounts in Afghanistan, I can only pray for peace for our neighbour. 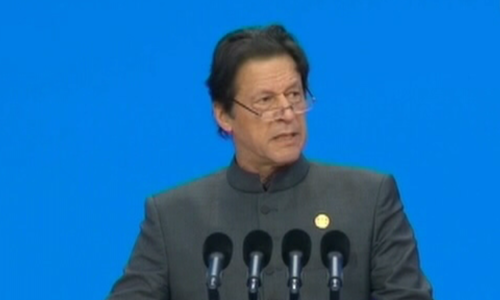 Pakistan will continue to play its part in ensuring an end to war in Afghanistan," he said in a tweet. Afghan forces have suffered what experts describe as "unsustainable" casualties since Nato pulled its combat forces from the country in 2014, and Monday's attack was set to exacerbate already shaky morale. The Humvee blast at the National Directorate of Security (NDS) base in Maidan Shahr, the capital of Wardak province and some 50 kilometres (31 miles) south of Kabul, caused the roof of the compound to partially collapse, images from the scene show. "Then at least three other attackers in a Toyota car who were following the Humvee entered the compound," Wardak provincial council member Abdul Wahid Akbarzai told AFP on Tuesday. 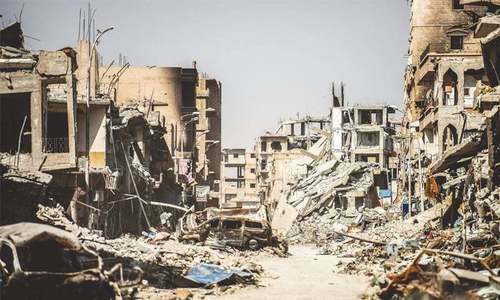 "It is a big loss," council head Akhtar Mohammad Tahiri said. "The NDS forces are better trained and equipped than the Afghan police and army soldiers who have been dying in record numbers." Nearby residents described hearing a "heavy explosion". "I saw black smoke," Sediqullah, a Maidan Shahr resident who goes by one name, told AFP. The blast shattered glass inside his house, he said, adding that some of his family members had been injured. 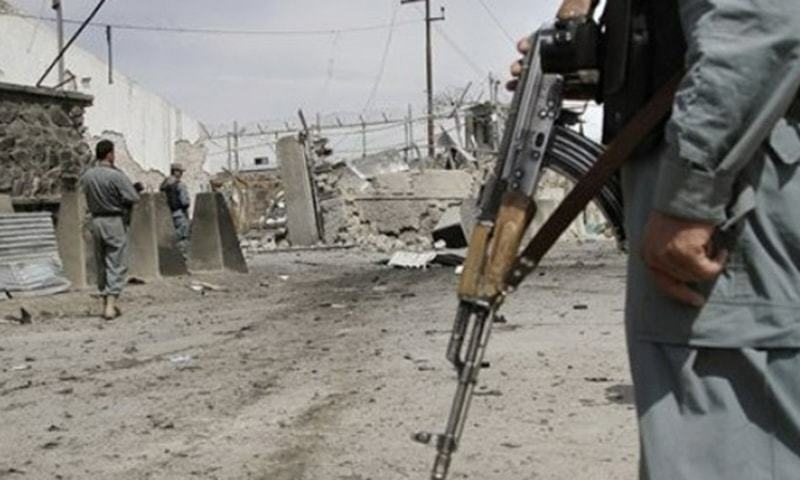 The attackers struck a day after a Taliban suicide bomber targeted the convoy of Logar province's governor, killing at least seven security guards. 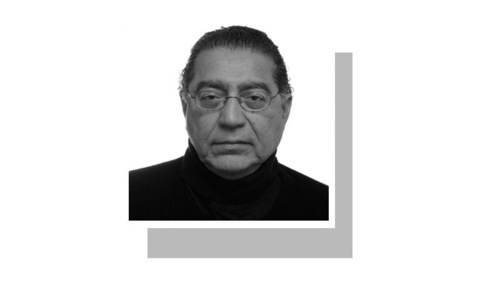 The recent skirmishes follow a flurry of diplomatic activity in recent months by US special peace envoy Zalmay Khalilzad aimed at bringing the Taliban to the table for talks seeking an end to the more than 17-year war. The insurgents — who are maintaining the upper hand in the conflict — threatened to suspend the fledgling process last week. 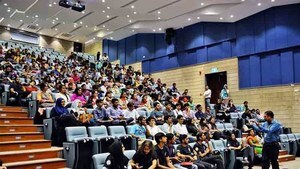 However on Monday they announced a resumption of talks with US officials in Qatar as the two sides discuss a possible peace deal that could pave the way for the insurgents to participate in the next government. 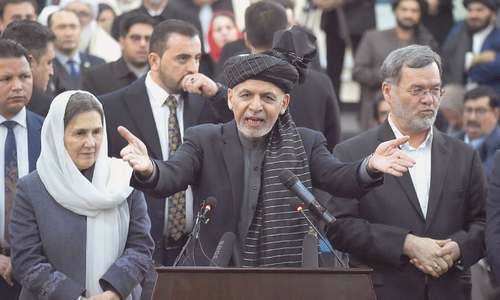 Since the start of 2015, when local forces took over from US-led Nato combat troops to secure the country, nearly 30,000 Afghan soldiers and police have been killed, President Ashraf Ghani revealed last year — an average of around 20 per day. The shocking mortality rate has sent morale to new lows, with a US watchdog noting troop levels falling by the thousands in 2018. A horrific loss of life that few words can paint an accurate picture of such sorrow. Prayers for peace and sanity... Tragic! The Afghans are not too intelligent. Do we learn anything from history? Can the world give a single example from history where US has achieved any peace wherever it has ever sent its forces to quell disturbances? On the contrary, the UN's peace keeping mission openly accepts Pakistan as its best and most successful peace keepers ever and pays high regards to them with highest rewards bestowed on them. What an unjust double standard playing world ! Desperate false-flag to compel USA to stay some more. So much for the billions gulped by the puppets in the name of training and intelligence. @Fastrack, yes, a superbly intelligent analysis! Who is arming these fanatics. The Us govt gave a chance to kabul and india to build forces but they have failed. India used afghanistan as a base to destabilize Pakistan. Now the tides ve turned. 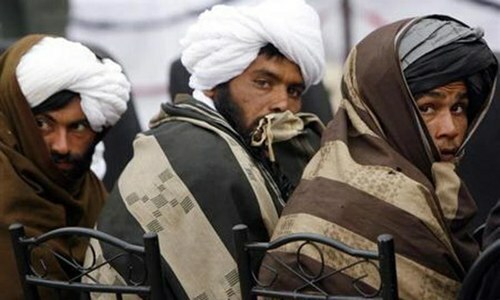 After the US pullout, the taliban force will go after indian influence and stooges. Wrong. It is precisely this chaos which the US President cites as reason he is quitting Afghanistan. India is in a lose-lose situation here. Spot on, as always, sir!